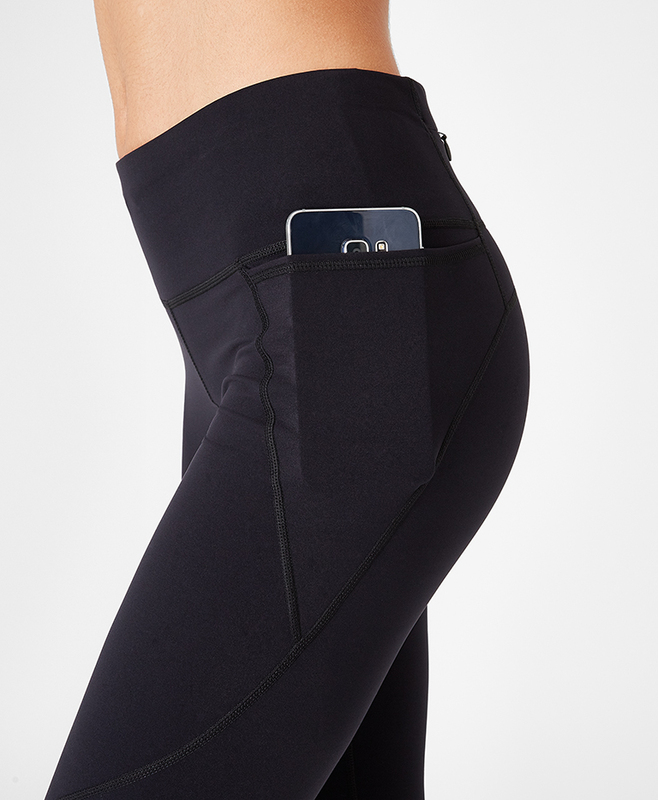 Put your phone away, these Power Leggings have a side pocket AND back zip pocket to store all of your essentials. Constructed in bum-sculpting fabric that flatters where it matters they perform for over seven sports. With a high waist with adjustable drawcord for the perfect fit. Prefer your normal Power's? Find our regular style with one zip pocket here. Power Leggings is rated 5.0 out of 5 by 6. Rated 5 out of 5 by Dagattack from My favorite leggings As soon as I put these on I knew they would become my favorite leggings, great for any activity, and super comfortable! Rated 5 out of 5 by Pilates in Bishop from Great bum support and so comfortable! I teach Pilates and have had a difficult time finding a pair of leggings that were not bagging out and sliding down my body by the end of the day. I recently bought a pair of Power Workout Leggings and they are just super: non-bagging, stay-put, light but super supportive. I am 6' 1:, 137 pounds and I bought a size S.
Rated 5 out of 5 by 1angel from Versatile! These can be dressed up or down. I have the "Powers" in Dark Forest and black w/o pocket, & the Retro red with the pocket. Now I'm buying black too, for tap dancing, golf, a stop at the bar, or put on heels & go to dinner. White would be a great addition for our all-white tennis club. Rated 5 out of 5 by pronetomove from These really are the best leggings! They are very form fitting without being uncomfortable. Rated 5 out of 5 by slippyb from Great long leggings These leggings are great. The bum sculpting means they look great, the pocket on the side comes in handy, and they are definitely long enough for those of us with long legs (size Medium).